Ships today if you order in the next 11 hours 20 minutes. The use of medicinal mushrooms (chaga, cordyceps, reishi, etc.) goes back to ancient times. They have given us important medicines, from penicillin to the first statin drugs. 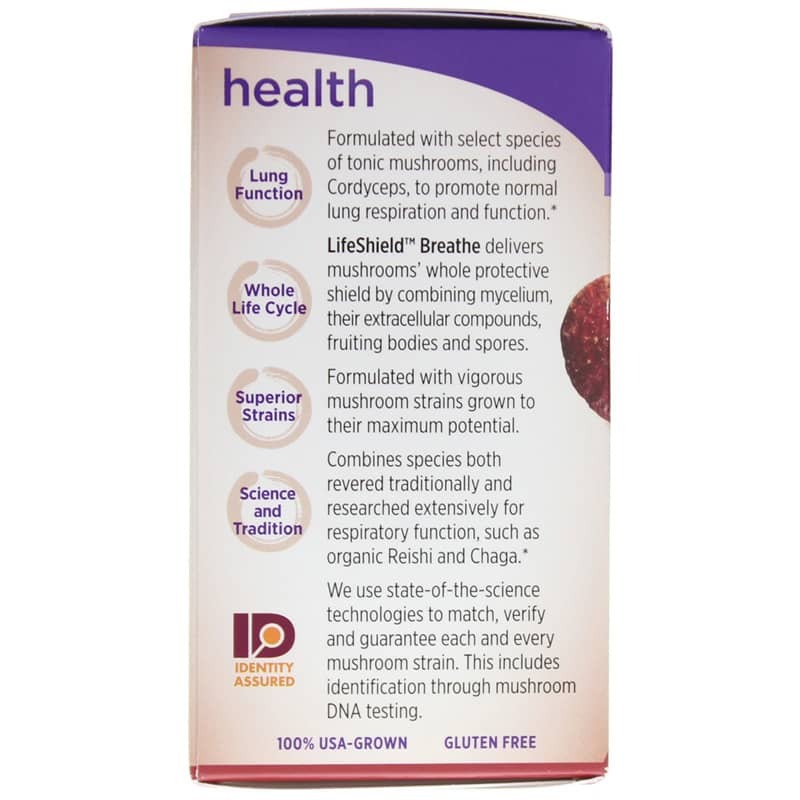 Overall, they are some of the best things out there for the immune system. Chaga is also known to cure stomach issues. Reishi is also a famous adaptogen, helping people relax when under too much stress, and increasing energy for those with low energy levels. Cordyceps is also a great oxygen intake enhancer and adrenal gland supporter. These mushrooms are often used in combination for specific medicinal purposes. 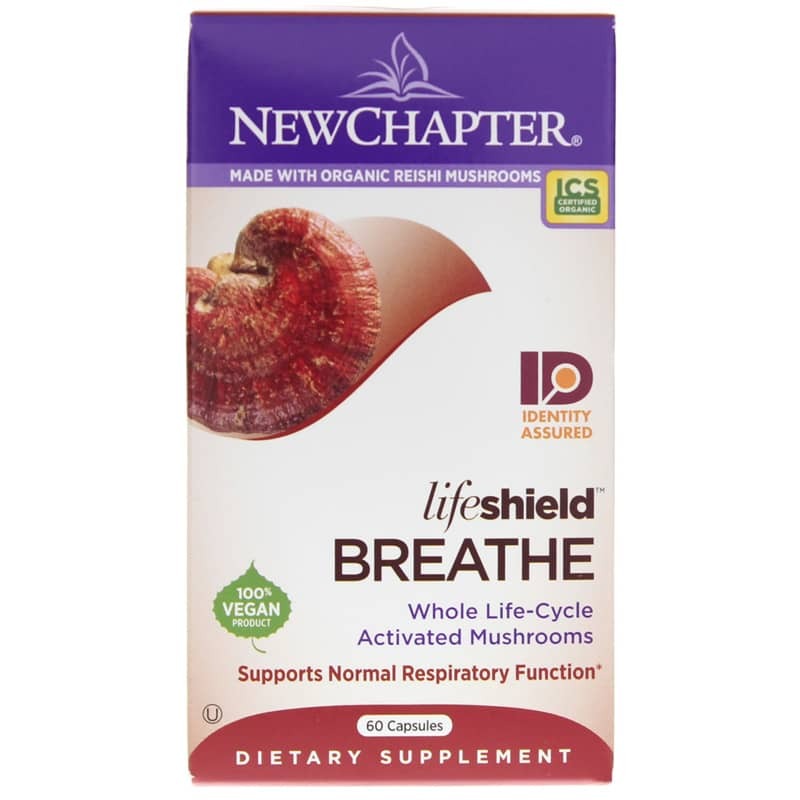 LifeShield Breathe by New Chapter is a natural supplement that supports normal respiratory function with whole life-cycle activated mushrooms, including chaga, cordyceps and reishi. 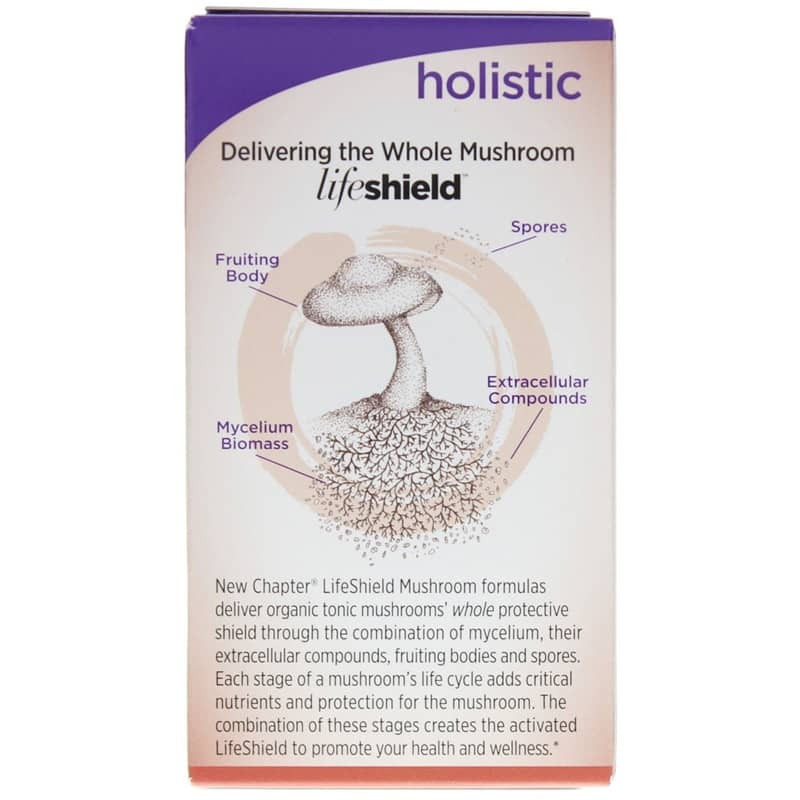 New Chapter's mushroom formulas offer the whole protective shield, as each stage of a mushroom's life cycle adds critical nutrients and protection. The mix of the stages creates the activated LifeShield to promote your health and wellness. These premium softgels are naturally gluten free, 100% vegan, and 100% grown and crafted in the United States. Try this respiratory formula if you'd like to support your normal lung function. Order online today! 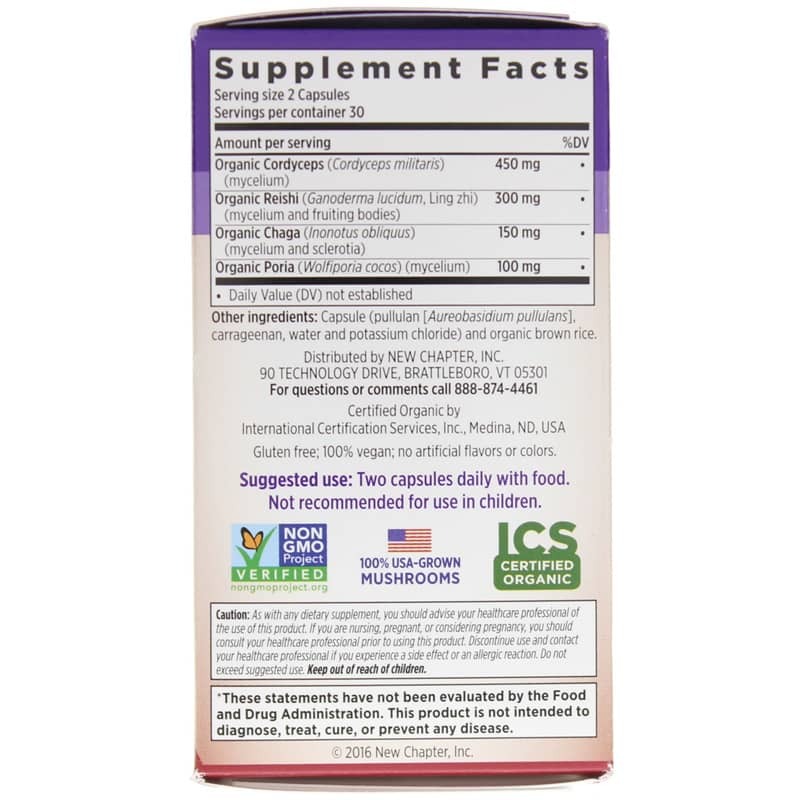 Other Ingredients: Capsule (pullulan [Aurebasidium pullulans], carrageenan, water and potassium chloride) and organic brown rice. Adults: Two capsules daily with food. Not recommended for children. As with any dietary or herbal supplement, you should advise your healthcare practitioner of the use of this product. If you are nursing, pregnant, or considering pregnancy, you should consult your healthcare practitioner prior to using this product. Discontinue use and contact your healthcare practitioner if you experience a side effect or an allergic reaction. Do not exceed suggested use. Keep out of the reach of children.